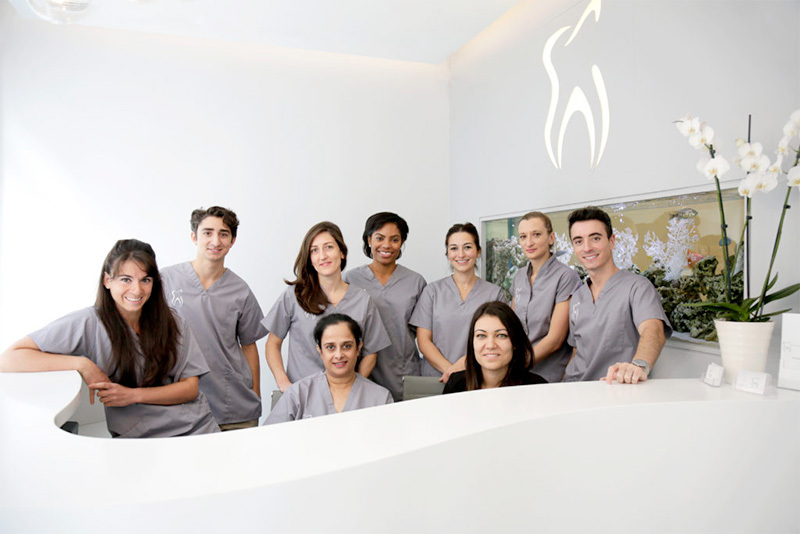 K Dental Studios is a private practice located in the heart of London’s medical hub. There’s other practices in close proximity, but we’re proud to be able to offer something a little different to other practices. Now, this isn’t us being biased in any way. This is based on the special approach we take to providing high quality dental care to our community. Our approach is focused on educating the patient to help improve their oral health in the long term, as opposed to providing a solution but not the tools to maintain a good standard of oral health post-treatment/appointment. When you visit the Studios, we’ll not only take the time to do a thorough assessment of your oral health, including checking for early signs of diseases, infections etc., but we’ll also ask about your lifestyle and get to know you as a person. This allows us to advise you on how best to look after your teeth and gums in a manner that can be easily incorporated into your individual daily routine. Our approach is further enhanced with our highly-knowledgeable, hand-picked team which allows us to offer a collaborative approach to your dental care. Each of our team members have a high-level of experience and qualifications in their chosen niche. What does that mean for you? It means that there’s no need for you to seek dental care from a variety of providers should you have a more complex issue because we can offer a solution right here at the Studios, no matter what the issue. Members of our team often work together and discuss various elements of the solution to ensure that the treatment you receive is the very best for your individual needs. We pride ourselves on providing reliable, long term solutions as opposed to the quick fixes. We’ve seen first hand the frustration of patients whom have had a ‘quick-fix’ solution. You can be sure that with K Dental Studios you’re in safe hands and our collaborative approach to treatments means you’ll benefit from the knowledge of a number of Specialists and highly-trained professionals. After all that, we would like to summarise by letting you know that it is you, our patients, who are the most important thing at K Dental Studios and your experience is of paramount importance. Our overall mission is to raise the standards of oral health in our community through education. Lots of people recognise the importance of their health and address this by taking vitamins, going to the gym and just ensuring they get enough sleep. However for some reason, many don’t see their teeth as an important element of their overall health. If you’ve neglected your oral health, don’t be ashamed, just take the first step to getting it back on track. Life’s so much better when you can smile. If you would like to book a consultation at K Dental Studios, please call the practice on 020 7637 8484.